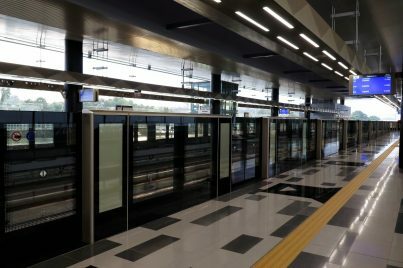 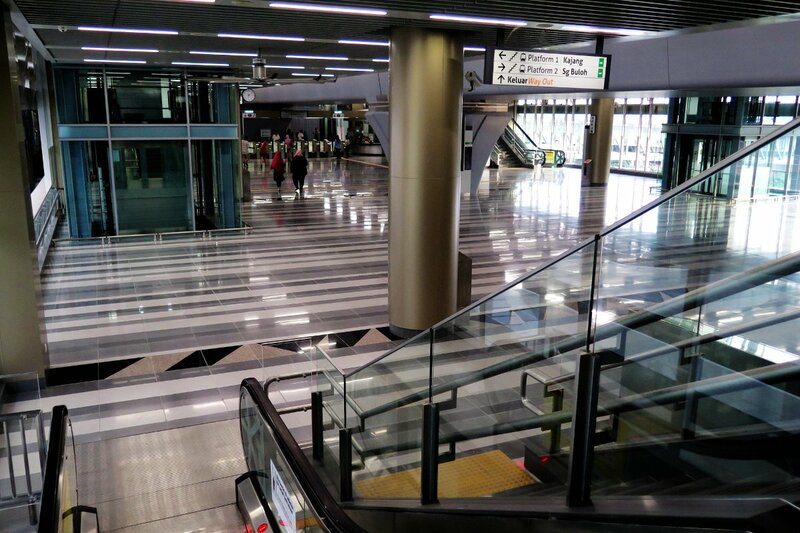 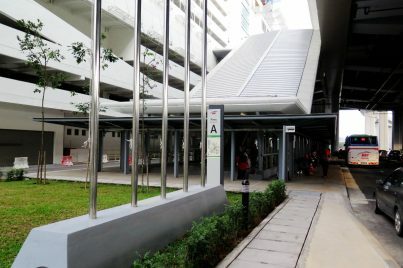 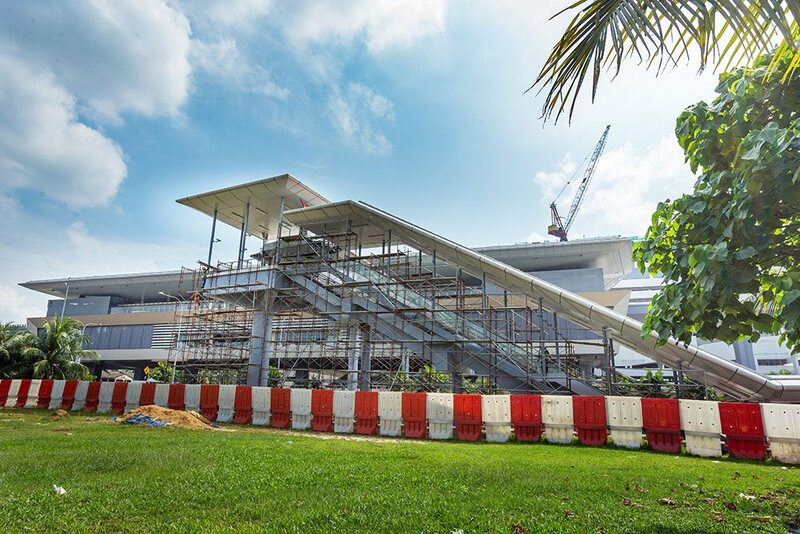 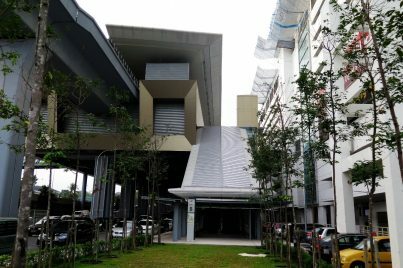 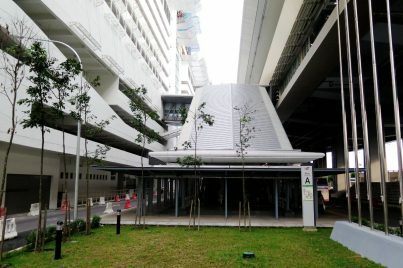 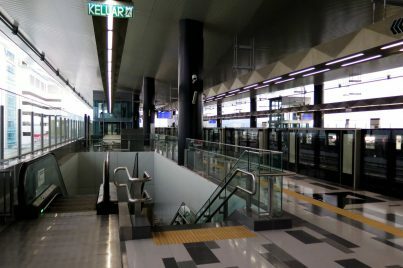 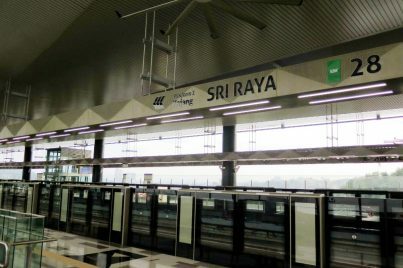 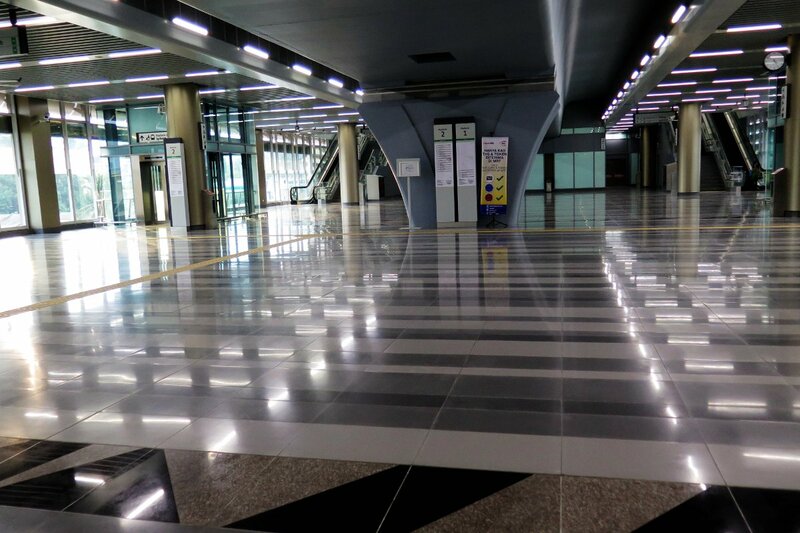 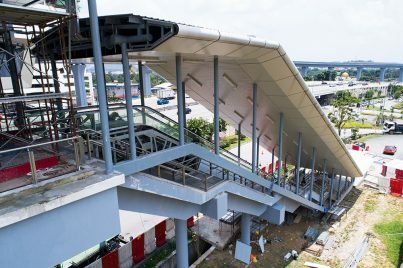 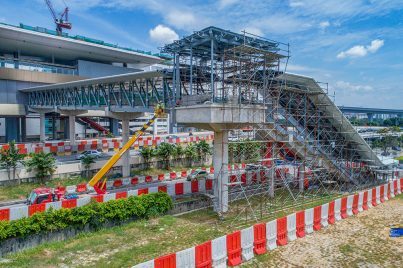 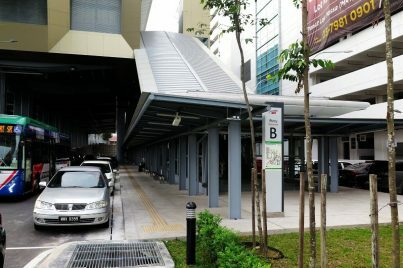 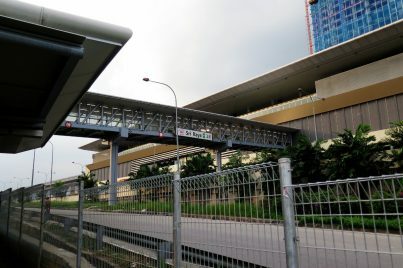 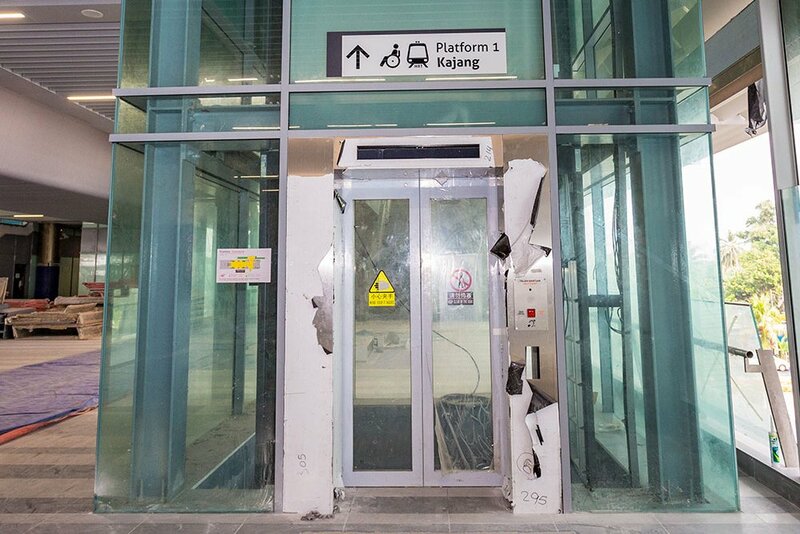 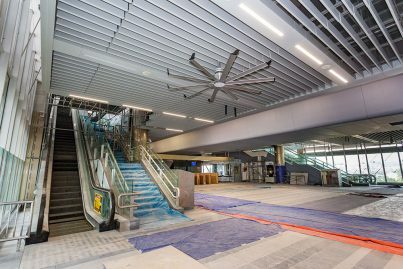 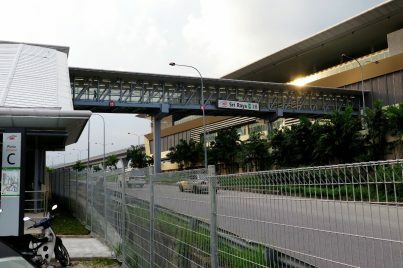 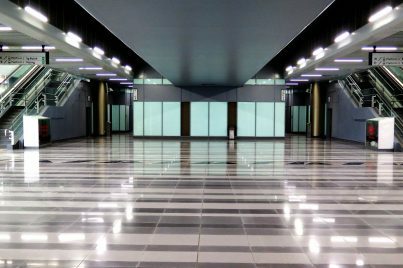 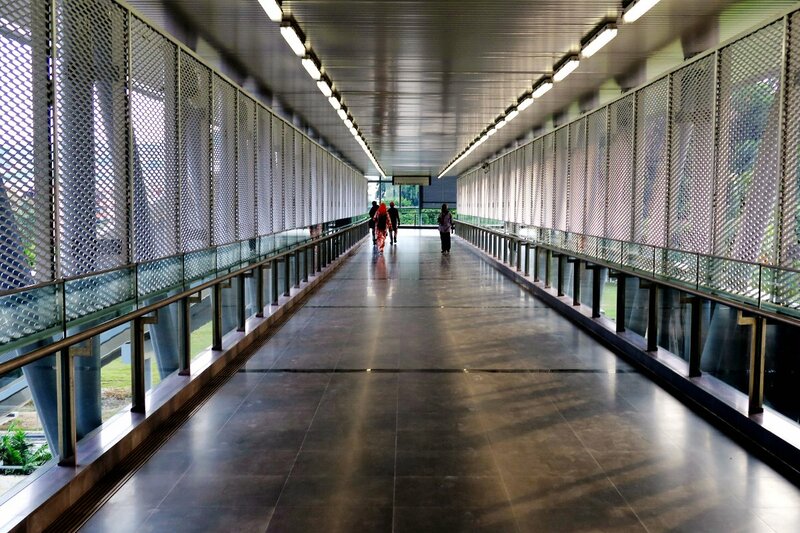 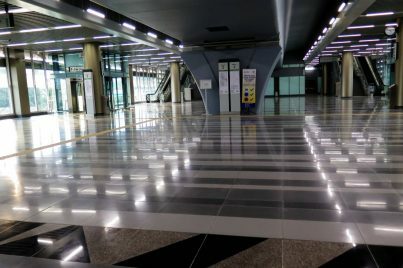 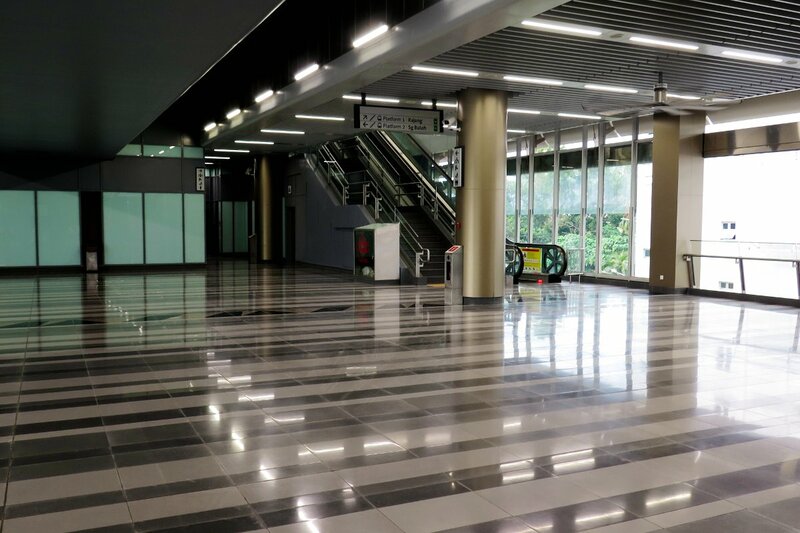 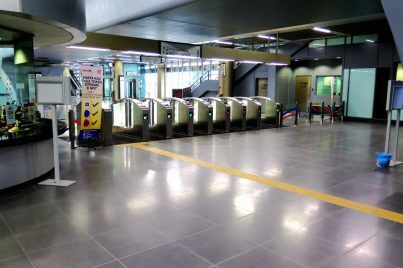 The Sri Raya MRT Station is an elevated Mass Rapid Transit (MRT) station serving the suburb of Cheras, Selangor namely Pekan Batu 10 Cheras town and other townships like Taman Seri Cheras and Taman Kota Cheras. Feeder bus T414 is available at this station. 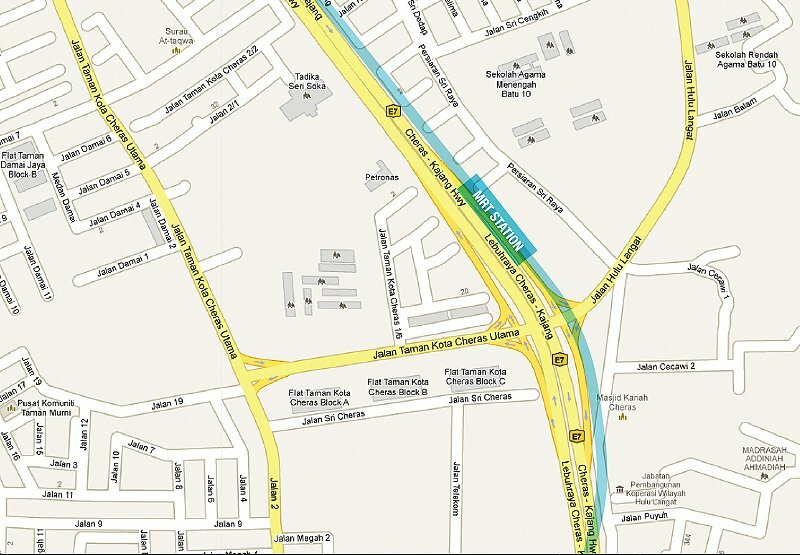 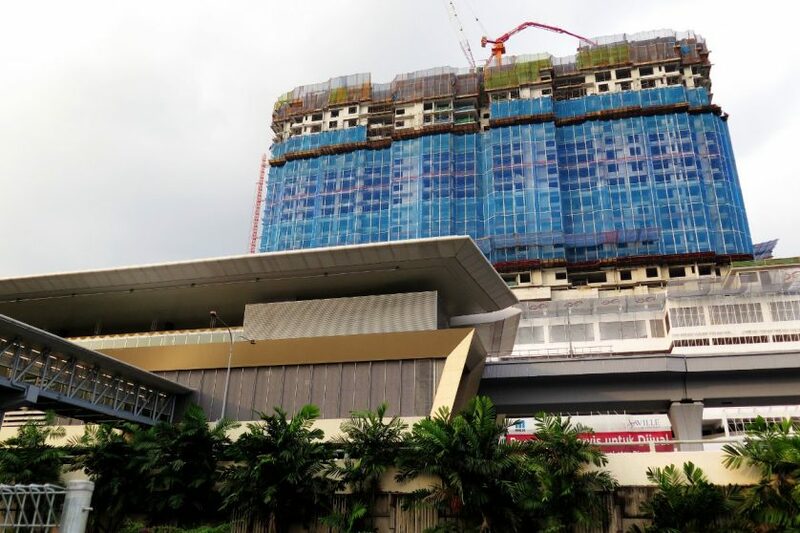 Sri Raya is a residential area located on the south of Cheras and property near Sri Raya MRT station would include Taman Cheras Permai, Taman Kota Cheras and Taman Sri Aman amongst others. 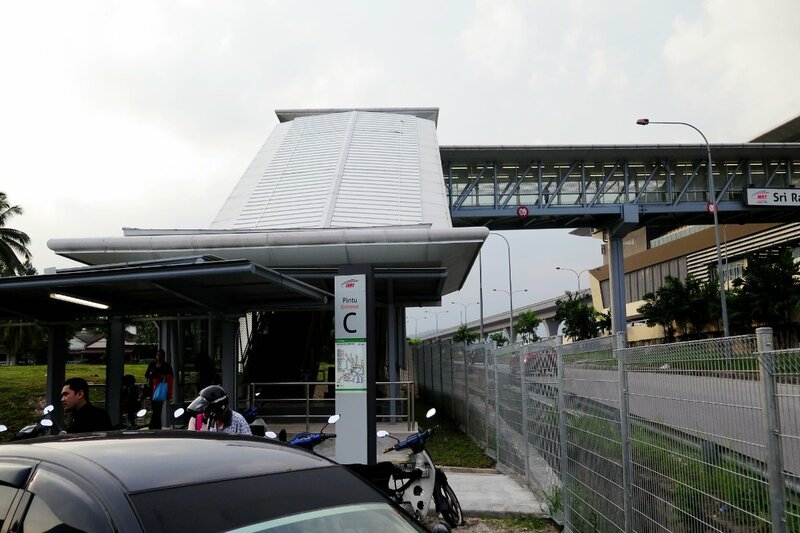 It serves as one of the stations on Klang Valley Mass Rapid Transit (KVMRT) Sungai Buloh–Kajang Line. 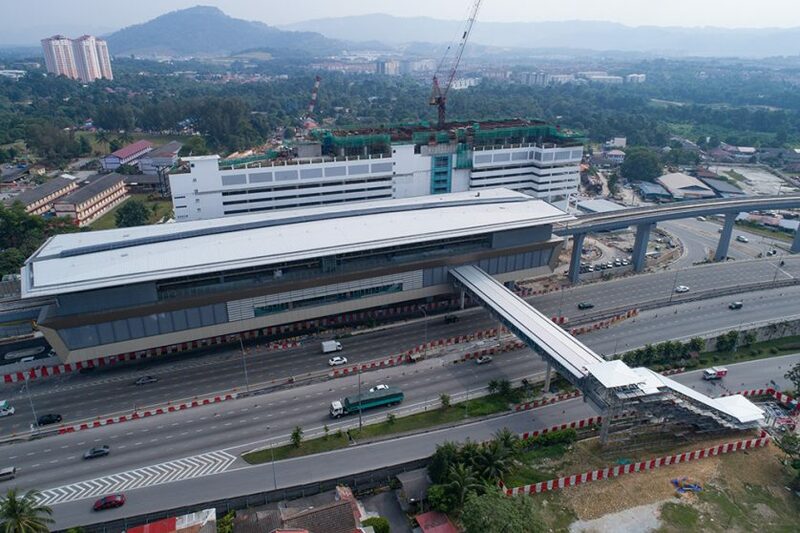 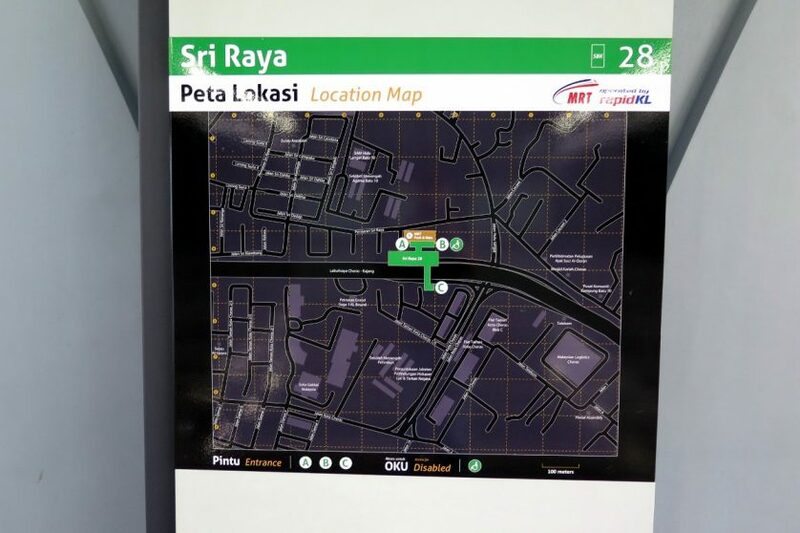 The station is located at Telekom interchange of the Cheras–Kajang Expressway. 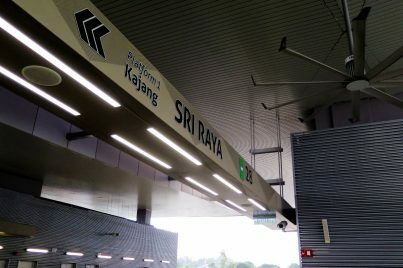 The name Sri Raya comes from the village of Kampung Sri Raya. 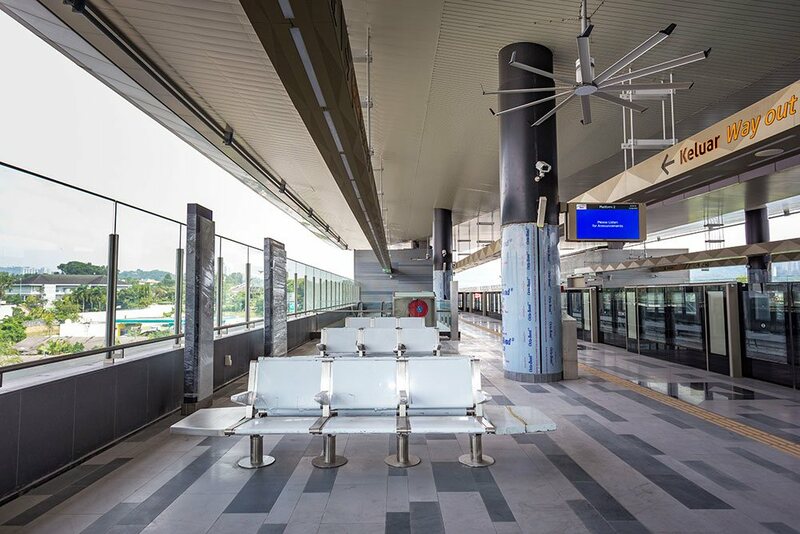 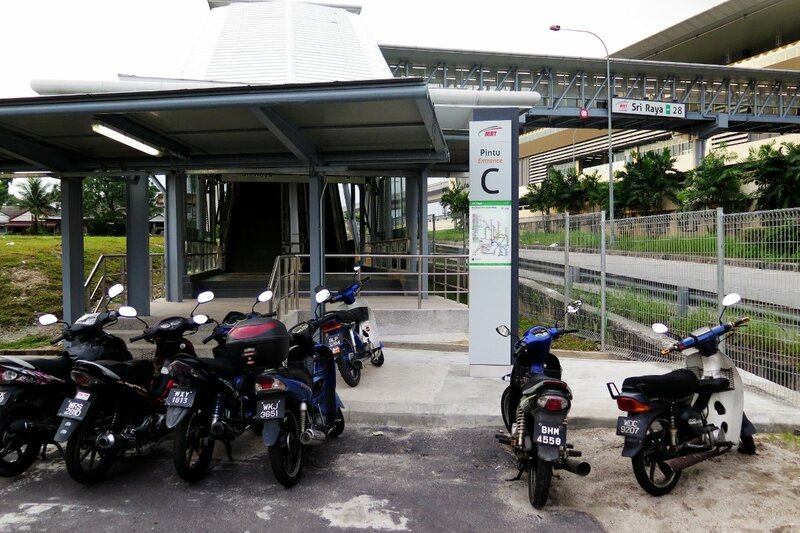 Nestled among the matured neighborhood makes the area of Sri Raya MRT station very convenient as amenities are abundant and easily accessible within short driving distances. 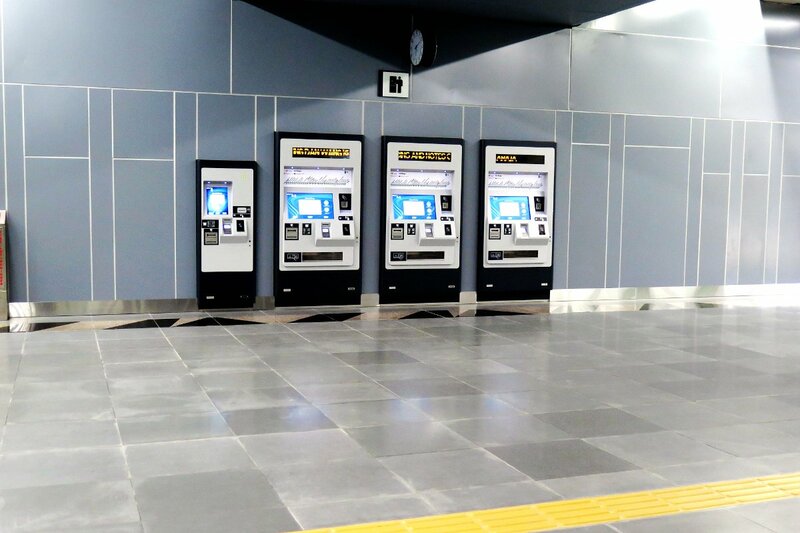 This station is not far from the Beaconhouse Sri Murni school on Jalan Sri Cendana Sari. 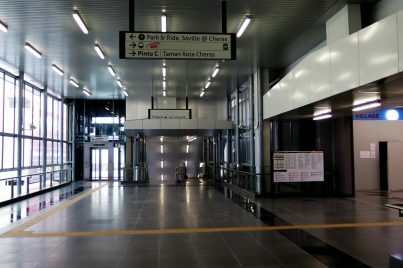 Surrounding the station are Taman Prima Suria, Taman Shah Jaya, and Taman Murni residential areas which are all within walking distance. There are also plenty of education facilities in the vicinity and shop lots. For bigger malls, those living in property near Sri Raya MRT can opt for Jusco Cheras Selatan, Tesco Kajang or The Mines Shopping Mall which are approximately 15 minutes drive away. 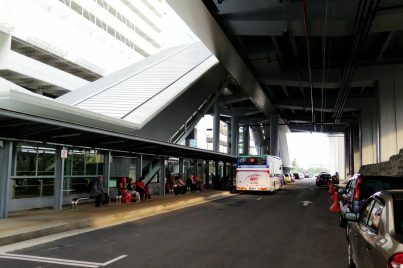 With the opening of the MRT Sungai Buloh-Kajang Line, feeder buses also began operating linking the station with Taman Tun Perak and Taman Megah. The feeder buses operate from the station’s feeder bus hub via Entrance A.